Of the several rhymes I’ve put together over the last few days, I make my apologies for this humble number, which were the closest to being acceptable. I wrote a terrible one comparing mankind to the weather. Instead, kindest reader, I pray you enjoy these attempts at poetry that merrily I present here. And I prefer that more. I ran them over in my boat. I have, since this poor attempt at a blog’s first introduction to the indiscoverably infinite ramblings of the internet, presented it in the form of an early newsbook. So I thought I’d present my brief understanding of the early history of British newsbooks and newspapers here, and explain why some of the earliest journalists of our shores were in fact quite against them. Newsbooks first started appearing in Britain in the first few decades of the 17th century. The first of these appeared in 1621, when the mysterious N.B. (most probably the publisher Nathaniel Butter) produced the Corante, and by September that year it was giving Englishmen the first ever summary of present international events in their own language. Rather than really being the work of our first English journalists, it was in fact just translated from a Dutch newspaper. Not long after this appeared, it’s printer, Thomas Archer, was arrested for distributing copies without a license and had his press shut down until he had negotiated getting one. Fortunately for the history of our newspapers, he received such a license so long as they were ‘translated out of the Dutch‘ – so still the hand of English journalists remained absent from our newspapers. Numerous other small papers occurred here and there with variable success. The reason that newspapers and in fact news itself wasn’t widespread among people at this time has everything to do with politics and power. Partly because the king and his parliament were always wary of plots, and the spreading of unflattering news about their actions, and the fear that news of uprisings and religious problems in Europe could unsettle the delicate peace of their kingdom. The main reason for newsbooks not being of great interest to most people, however, is how far from politics your average man was and therefore how unimportant even useless it was to be constantly up to date with news. There had been plenty of power changes in the century beforehand, and with the great monasteries being closed down there were several power vacuums where odd preachers and other ordinary people had their moments to try and make changes, but those days had quickly passed and now a new generation of noblemen took care of the country’s woes. Being so distant from the decisions at a national level, then, many people took little interest in news of it, and even less interest in the distant goings on internationally. The more successful form of printed news at this time were pamphlets and the more old fashioned broadsides, which would be a short discussion or explanation of a single subject. These would usually only be on political or religious subjects, since science was better discussed in longer works, and the short nature of a pamphlet made it a quick any handy thing to produce to get your opinion into the world. And that is what these were chiefly filled with – opinion – it was very hard to gauge the wider state of the kingdom from them, but they were very useful to understand the political feelings of the time. One great event changed all of this, the English Civil Wars, and the important political change that the wars brought was how close people were to politics, and it made the country very aware of the real power that the public actually held. The Civil Wars were the first time that the ‘common people’ of Britain had a great say in affairs of state. With so many noblemen up in arms for or against the king, and the remainder keeping quiet and trying to stay out of the trouble, all kinds of people were able to speak out and make their mark on the country and its history. During this time the newsbooks became a vital device for transporting news and information across the kingdom, and with constant debates, battles, and other exciting events happening on both sides of the war they were never without something to report upon. With the printing presses in London being under the power of the Parliamentarians, local presses across the country began turning out their own versions of the news for whichever side they preferred, and chaos in the unregulated presses of the kingdom lead to a whole host of new newsbooks appearing. Among these were great titles such as Martin Nonsense, Mercurius Melancholicus, The Parliaments Vulture, The Parliaments Scrich-Owle – in fact Joad Raymond lists almost 50 titles of separate periodicals. November 1641 saw the first ever weekly printed newsbooks, and the flood of them carried on throughout the Civil War and were even still trickling off of the presses into the interregnum that followed. So, when that intruder on the throne died and there were rumours of a restoration, the presses were fired up again with news and it appears to have been a popular opinion among some that the resurrection of unregulated newsbooks would boil up the nation again into disarray. To preserve the order of the nation a new role was created within the government, the Surveyor of the Imprimery, whose job it was to make sure that all books without license to be printed were destroyed, and any offending printers deprived of their living. It was in 1663 that this honour fell to the brilliant Roger L’Estrange, the so-called ‘Blood-hound of the Press’, who some would say was one of England’s first journalists. L’Estrange, however, was quite against newsbooks and far more a fan of the old-fashioned pamphlets, where the public could be guided with opinion alongside threadbare news. The main paper at the time was Mercurius Publicus, the work of John Berkenhead, and the first ‘official’ newsbook ever to be printed. This fascinating insight rather hypocritically prefaced the first issue of his own newspaper, The Observator, which was a stunning blend of newsbook and opinionated pamphlet. Rather than being a straightforward description of events in and beyond the country, it appeared as a conversation between two people of different opinions both arguing over a different subject – with L’Estrange’s opinion always being the winning side. With a strongly regulated press, these newsbooks became an established part of society and the days of the opinionated pamphlets were numbered – although they would remain a common produce of the printing press until the mid-18th century, and sermons and other small works would still be printed in the style of a pamphlet until the early 1800s. And that, I hope, is an accurate enough account of the birth of newspapers. With any luck, shortly I’ll do a post on newspapers. Won’t that be fun. For now, permit me to present three verses recently composed near a sunset. To banners filled with stars held high. As dreaded sunset died away. That single king enthroned the night. Dawnlight will put night to rest. 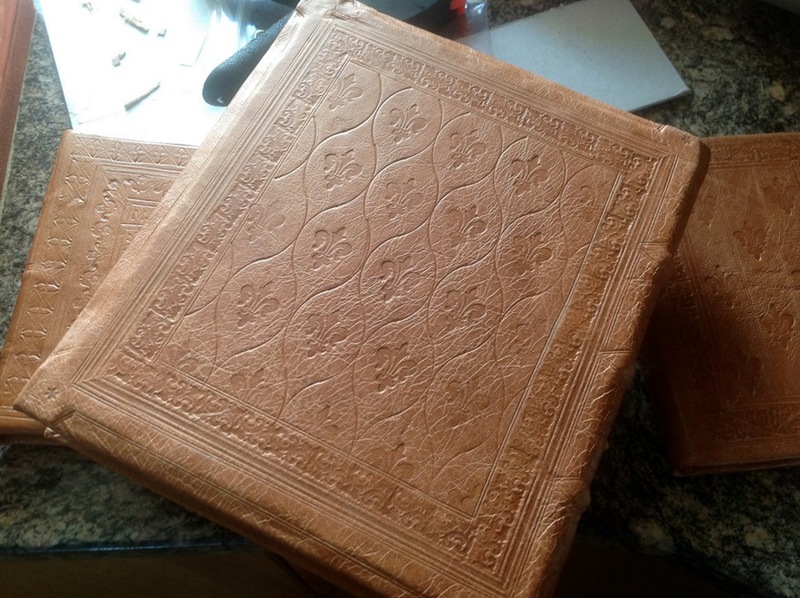 Over the last week or so I’ve been playing around with some medieval binding styles on a couple of test volumes. The books themselves, rather than being old books needing restoration as usual, are this time a reprint of a fifteenth-century history of England and the other a manuscript of interesting historical events, both made by myself and therefore of little worry if the binding process should go wrong. 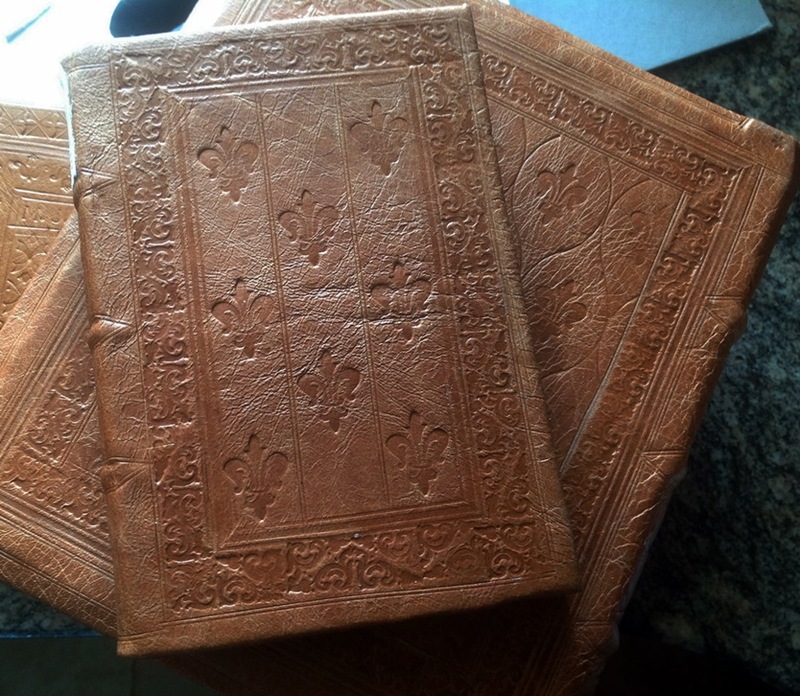 Both are based on examples of 15th and 16th century bindings that I’ve seen, and both use very similar tools to try and achieve different styles. The first was the small octavo-ish sized manuscript in which I’d recorded all sorts of things I’d seen in 2015, including Waterloo’s bicentenary, Richard III’s funeral, and several other extra odd things I’d been to that are really worthy of a blog post one day. The second was the largest book I’ve done everything from printing to binding myself since the first binding I ever did – this is a quarto-sized volume of the ‘Cronycles of the Londe of Englond’, which I was reading a copy of online and suddenly thought it would be much easier reading such a long book if it was an actual book. It was quite a challenge creating the constant wavy-line pattern onto the centres of the boards, since a single quarter-circle tool was used for the entire thing, but in the end I created a checkerboard like grid to guide where the tools should go. 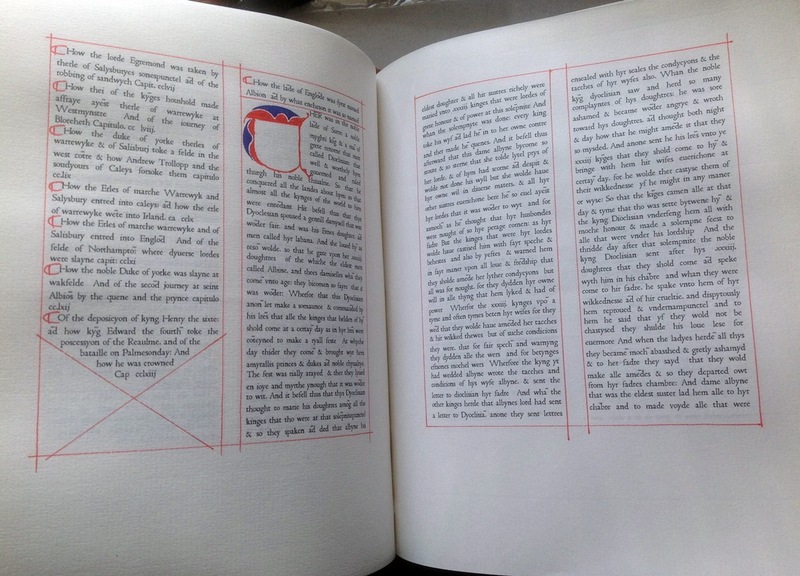 The more time consuming part of this particular book was that I wanted the reprint to be acceptable with the style of the binding, so I spent some time formatting the styling using a 15th century font and then (as I regretted after about ten pages) I decided to rubricate the entire 300 page-long work. The effect, though, is at least authentic. As my ebook on the history of British dueling presses on (the target is now to list at least 250 duels, rather than my previous goal of 100), I’ve been scribbling a couple of other little things here and there. So, far from the macabre tales of death and honour among ancient duelists, allow me to distract myself for a moment with some odd and only sparsely accurate epigrams, composed on a train. The phone turned off, and now they’re gone. Said hi, and then fell over. Quite soon I had scared all the raindrops away. ‘Till I opened a window, and sank her. I’ve had some fortunate time this holiday to put together a few bits more poetry, which I’ll happily present here. Also I’ve had a chance to do some reading and aside from having a chance to look over the renowned Edmund Spenser, I’ve also found the interesting poetry of Richard Crashaw, which I can recommend to the reader. Here are my simpler attempts at some rhymes, happily eclipsed by my previous recommendations! And the industry of time. In and out among the turf. Underneath the well quiet turf. And wakes the dew-frost lawn. Where one more day is born. The gleam in winter’s frown. And winter will look fair. Are cold and calm, and rare.